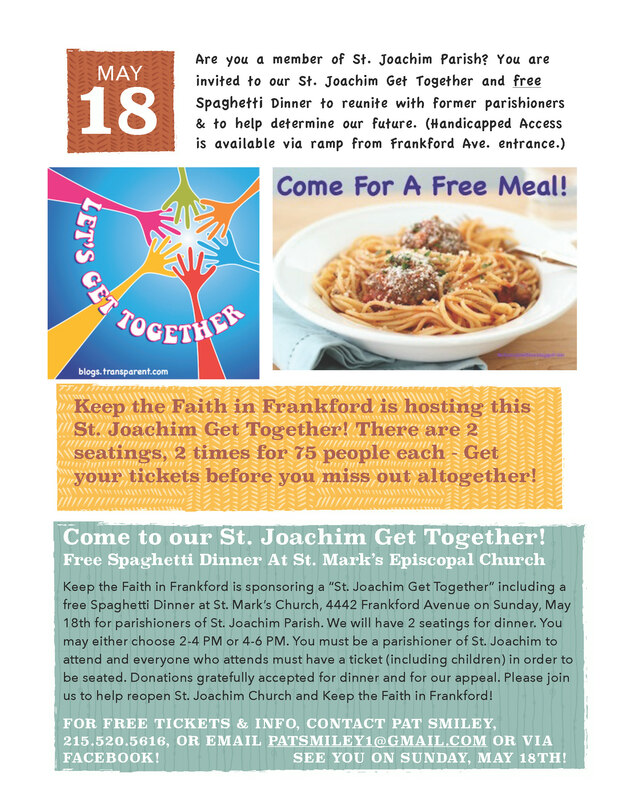 This Sunday, May 18th, at 2 PM and 4 PM, Keep the Faith in Frankford is hosting all interested Saint Joachim parishioners for a Get Together and Free Pasta Dinner. Below are the details! Hope to see you there! 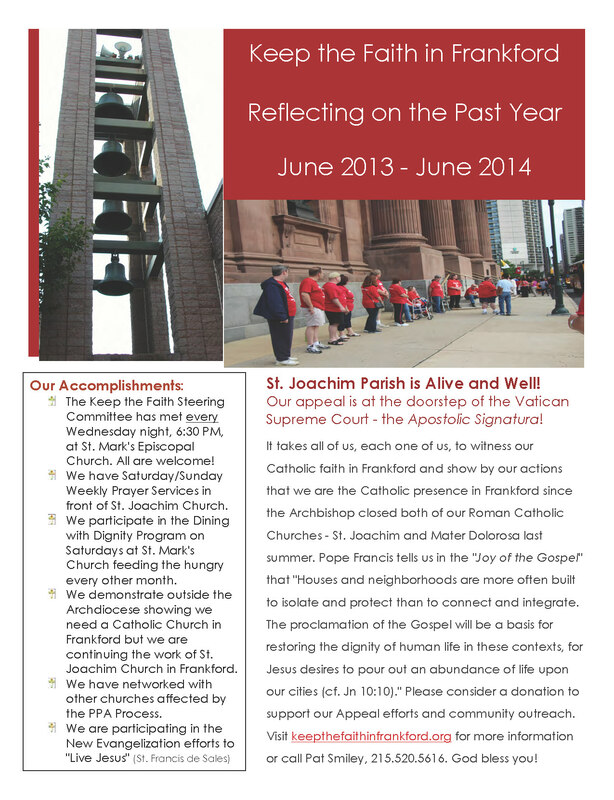 Cherish the memories you have of St. Joachim and at the same time be part of the reason St. Joachim reopens so that you will make new memories, too! Framed and unframed pictures of the beautiful church, statues and grounds are now available! 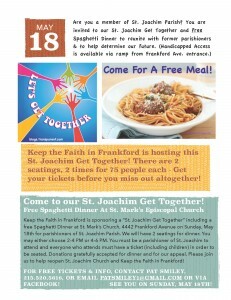 All funds raised will go toward the appeal fund to reopen our church and have a Catholic presence in Frankford once again! 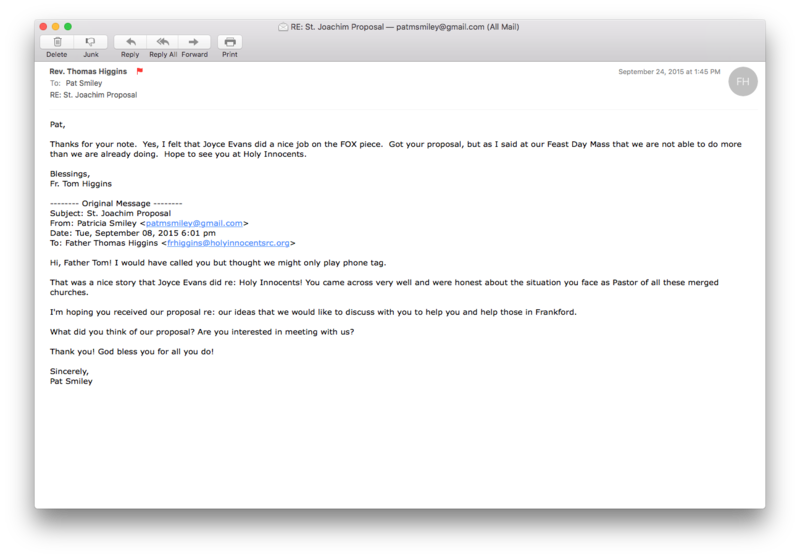 Our appeal is being currently reviewed! Your prayers and monetary support matter greatly! We have included samples of the collage frames created. Any picture can be ordered for any frame! Create your own personalized photo treasury! Great for gifts! 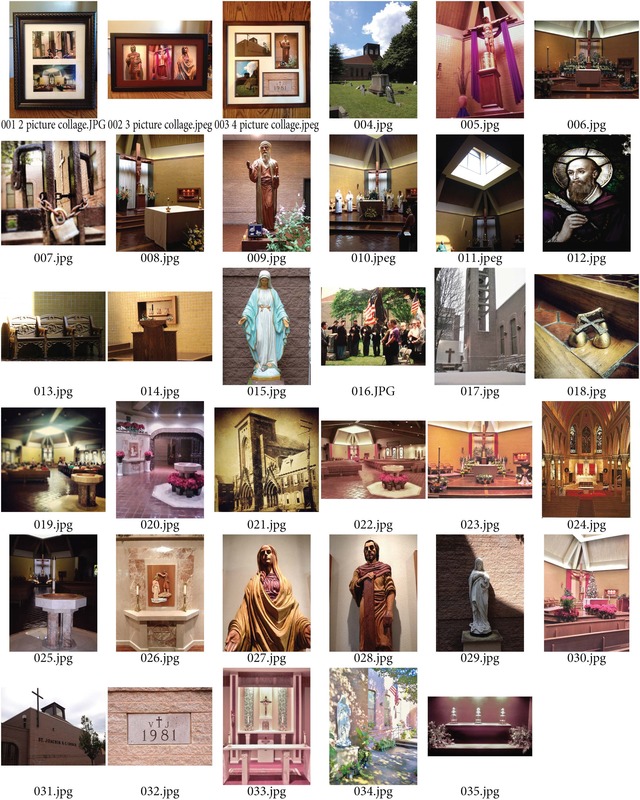 Take note of the numbers of the pictures you would like. Framed or unframed? Choose your size of frame or collage frame and take note of the numbers of the pictures you would like. Please call Pat Smiley at 215.537.0659 or email patsmiley1@gmail.com to place your order. Please allow 2 to 4 weeks for delivery of order. Your donation will be collected at time of delivery. 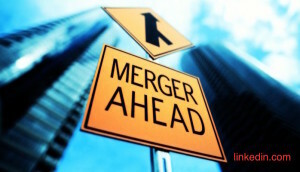 We accept cash or checks. Please make checks payable to Pat Smiley. 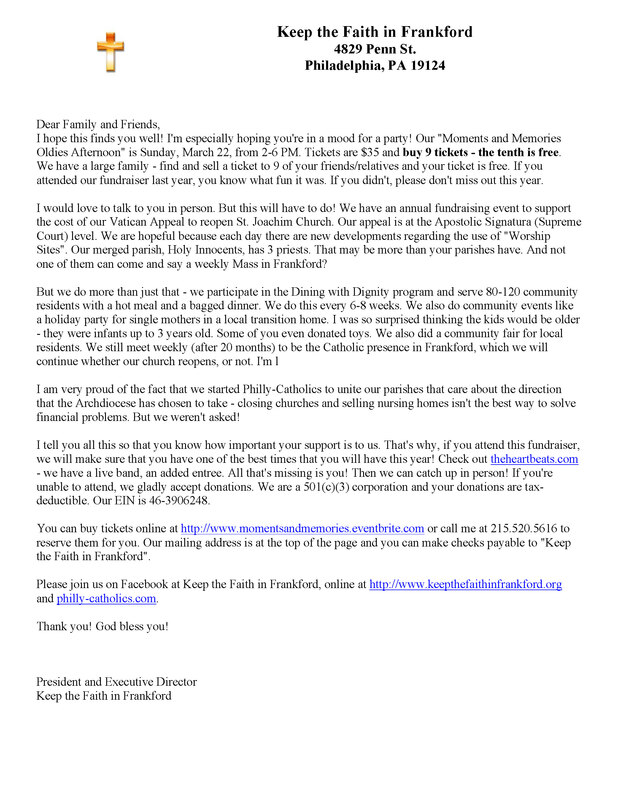 Visit one of our weekly meetings at St. Mark’s Church, 4442 Frankford Avenue, Wednesdays at 6:30 PM, to place your order directly. 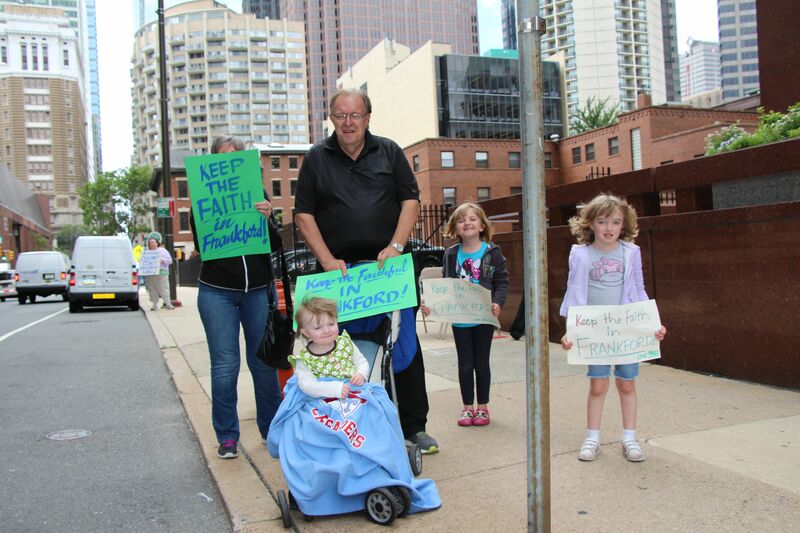 Thank you for your support to Keep the Faith in Frankford! 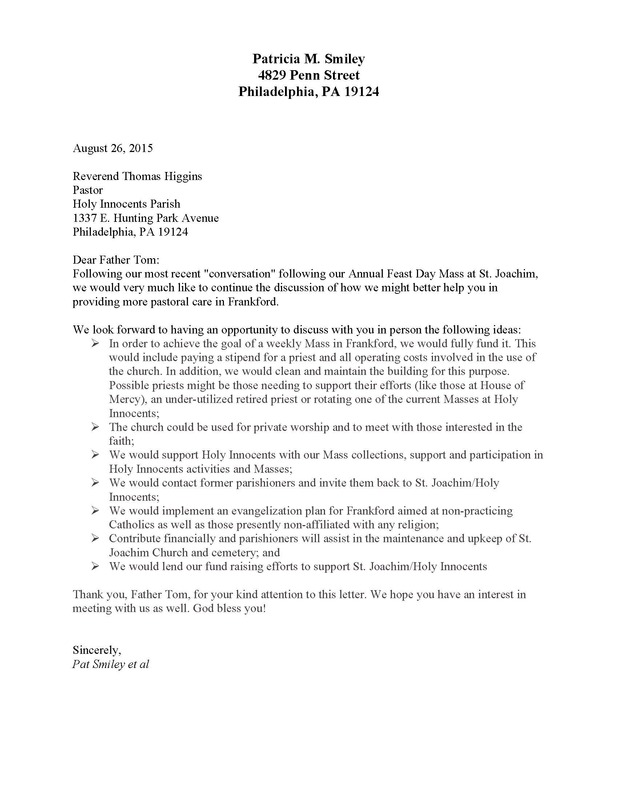 Please note that we support and want one Catholic Church in Frankford. 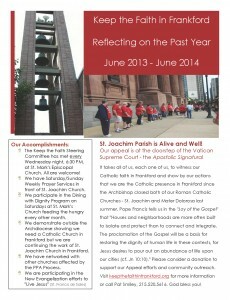 St. Joachim has filed an official appeal that is funded totally by your contributions. God bless you!